Used on various table models. This one fits onto a tiny shaft. 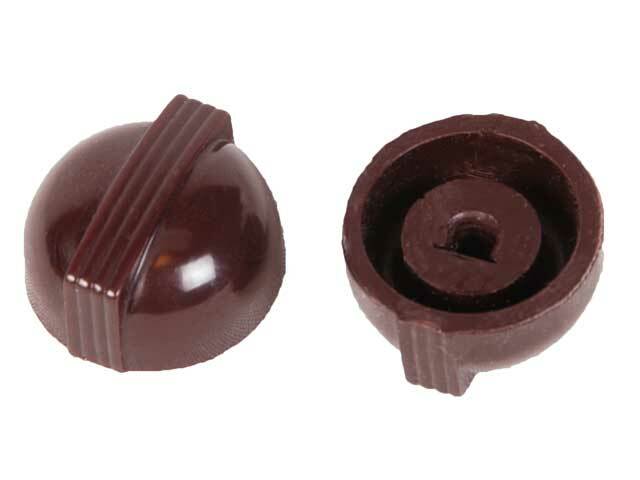 models: 87K, 87K1, 87K2, 87T2 may use this small-shaft knob. Dimensions: 1" wide, 5/8" tall, fits a 3/16" flatted shaft.